If you’d like to deadhead roses during the bloom season, we need you at WA Park! 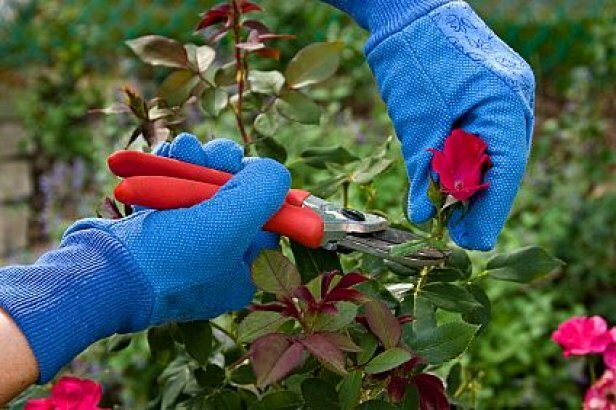 When the rose season is underway (typically late May), deadheading time blocks are Monday from 6-8pm, and Mondays through Friday from 7am-2pm. You come according to your availability, for an hour or more. To become a volunteer, you must attend an orientation. 2019 ORIENTATIONS are scheduled for May 16th and May 22nd, 9:00 am to 11:30 am, you only need to attend one. Meet at the wooden kiosk down the stairs from the parking area. Or contact us at waparkroses@gmail.com for an orientation. International Rose Test Garden — learn more! The International Rose Test Garden (IRTG) in Washington Park just recently celebrated its centennial! The rose garden and Portland’s identity with roses are inextricably linked. Back in 1888, Georgiana Burton Pittock, wife of pioneer publisher Henry Pittock, invited her friends and neighbors to exhibit their roses in a tent set up in her garden. An annual rose show grew in popularity and size. Georgiana and her friends established the Portland Rose Society in 1889. Jesse A. Currey, a former Rose Society president, chose the garden’s site and convinced city fathers to inaugurate a rose test garden in 1917 with the support of the American Rose Society, City officials, and civic-minded citizens. The primary purpose of the garden continues to serve as a testing ground for new rose varieties. In the beginning, hybridists were encouraged to send roses from around the world to Portland’s garden for testing. Today, the Washington Park IRTG is the oldest continuously operating public rose test garden in the United States and welcomes nearly 700,000 visitors each year. Friends of Washington Park’s International Rose Test Garden is a non-profit Oregon Corporation. Our mission is to preserve, protect, and enhance the International Rose Test Garden. The Friends recruit and support hundreds of garden volunteers who contribute their time and expertise deadheading, leading tours, and answering questions of garden visitors. The Friends assist in increasing public awareness of the garden and support efforts to maintain and improve the garden. We work in partnership with Portland Parks & Recreation. Donations to Friends of the International Rose Test Garden are tax-deductible. You can click the button below to make a donation via PayPal. You do not have to have a PayPal account to donate. If you would prefer to send a check, see our address at the bottom of this page. And thank you! Deadheaders are needed during the rose season to prune off spent flowers. Interested? Contact waparkroses@gmail.com for a volunteer orientation. You’ll need to complete PP&R volunteer forms and bring them with you. Click Learn More. The International Rose Test Garden is located in Washington Park, above downtown Portland, Oregon. Parking can be challenging in WA Park due to a multi-year Portland Water Bureau project. Visitors are encouraged to take TriMet MAX Light Rail to Washington Park stop. Starting in April, the free WA Park shuttle runs through the park each weekend and from May through September, the free shuttle runs seven days a week, with a stop at the rose garden. Visit Explore Washington Park for further information.